(NaturalNews) Corn plants genetically modified (GM) to produce pesticides in their tissues are contaminating water supplies across the US Midwest, according to a study conducted by researchers from the Cary Institute of Ecosystem Studies and published in the Proceedings of the National Academy of Science. The study was conducted on corn engineered to carry a gene from the Bacillus thuriengensis (Bt) bacteria that produces an insecticidal protein, Cry1Ab. The researchers tested 217 Indiana streams for traces of Cry1Ab, and pesticide the chemical in 13 percent of them. Every contaminated stream was within 500 meters (1,600 feet) of a corn field. In the Midwestern "Corn Belt" states of Indiana, Illinois and Iowa, 90 percent of streams and rivers are within 500 meters of a corn field. This amounts to 159,000 miles worth of waterways at risk from Bt corn contamination. 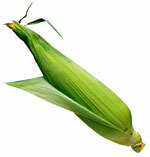 Eighty-six percent of the streams tested in the study contained corn cobs, husks, leaves or stalks. "Our research adds to the growing body of evidence that corn crop byproducts can be dispersed throughout a stream network, and that the compounds associated with genetically modified crops, such as insecticidal proteins, can enter nearby water bodies," said researcher Emma Rosi-Marshall. Although this study is among the first to show that the tissues of GM crops can harm the environment after the plant has died, other dangers of GM agriculture have already been well established. "Genes from genetically modified plants have already been shown to be capable of escaping into the environment and contaminating natural crops," write Michael Murray and Joseph Pizzorno in their book The Encyclopedia of Healing Foods. "Manipulating genetic material changes the expression of proteins and antigens in foods, a situation that could lead to allergic reactions. ... Another concern is that some GM foods, such as GM corn, are being manipulated to resist synthetic pesticides. As a result, more of the pesticide is being used and humans' exposure to toxic pesticides is actually increasing while insects develop resistance to the pesticides' toxic effects."